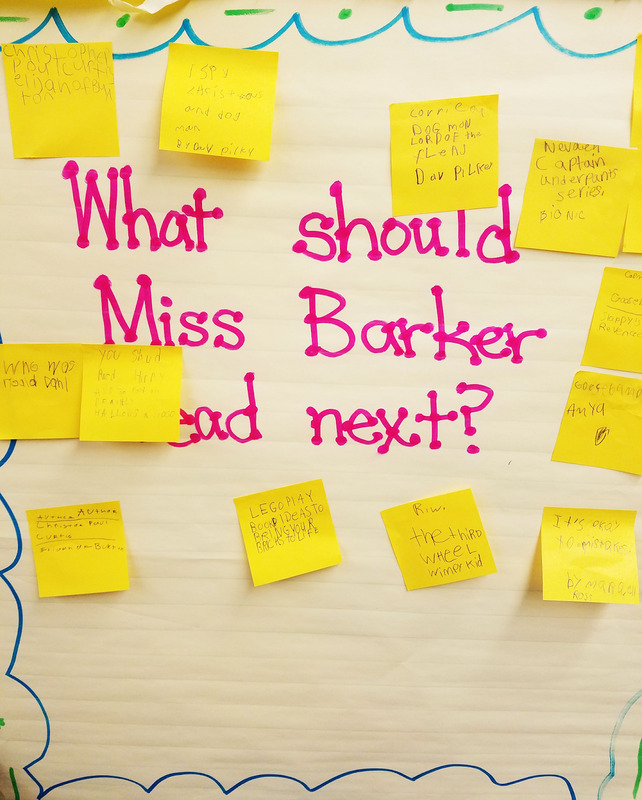 * I made a poster for students to recommend books for me to read. Nothing fancy! We use post-it notes, so that I don't have to keep making posters. * I use suggestions and choose that as my current read. 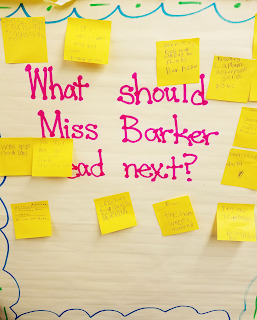 * I write the books on a Miss Barker is Reading poster. Unfortunately, I couldn't get a better pic. I just have a dollar store picture from that I write on with a dry erase marker. Works perfectly! 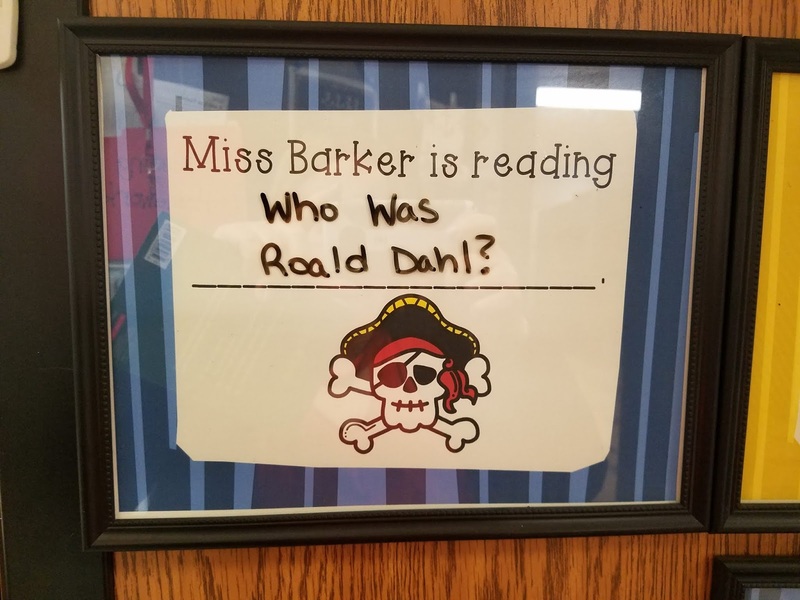 * I take the book I finished and created a little display in my classroom. 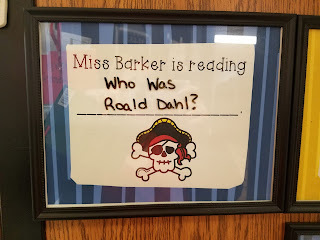 These are a huge hit for my students. They always want to read the same books as me. Currently, I am reading Elijah of Buxton. I had two students recommend this book. I think they chose it because it looked so big to them!